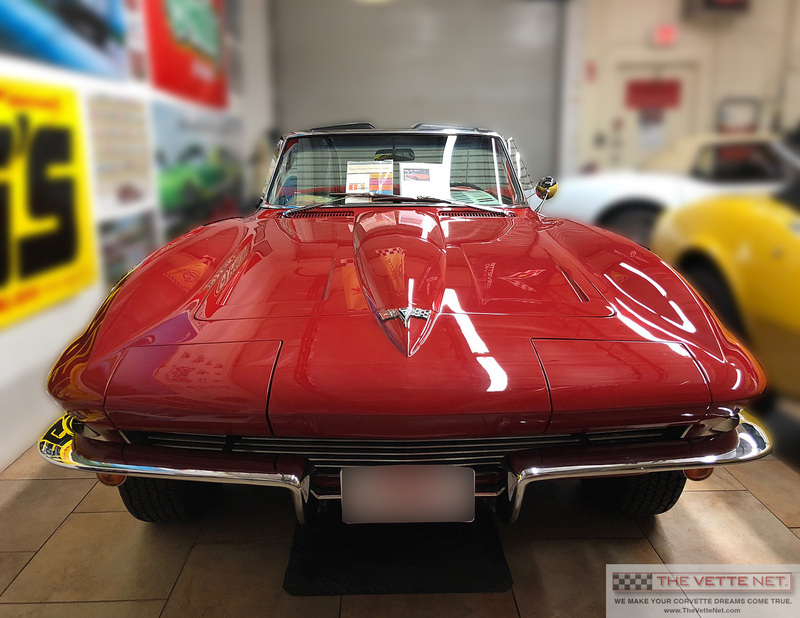 GENERAL INFORMATION: This beautiful 1964 Sting Ray convertible has its code correct Riverside Red paint with black vinyl interior and white convertible top. The Corvette was repainted about 15 years ago and has been well preserved. The owner reports the engine block appears as factory matching and correct for the build date of the car. If you wish to personally inspect this Corvette, it is located in FLORIDA. SPECIFICATIONS/OPTIONS: This Corvette convertible is equipped with the L75 engine (327c.i./300 horsepower) mated to a Muncie (M20) 4-speed manual transmission. It has the G81 Positraction axle. Other factory options are: A02 Soft Ray tinted windshield. Power brakes. Air conditioning has been added and it blows cold. The radio is aftermarket as are the 1967 style cast aluminum wheels (bolt-on). The redline radial tires have lots of tread remaining. CONDITION RATING (Using a 10-high scale): Overall appearance condition is owner rated as 7. The owner reports the Vette performs very strong and handles great on the highway. The steering, suspension and exhaust system are all in very good condition. The frame is clean and solid with no evidence of repair. WE ARE HERE TO ASSIST YOU: No matter where you live, delivery can be arranged anywhere worldwide at a reasonable cost. I am very experienced working with international Corvette enthusiasts and welcome all inquiries. An inspection by a qualified Corvette specialist can also be scheduled typically at reasonable cost.